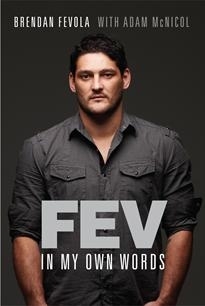 Brendan Fevola’s book Fev: In My Own Words is proving to be a success and his publishers are already planning a reprint. The book, I have been reliably informed is an honest account of how Fevola’s life spiraled out of control and the collateral damage inflicted on his family, in the process harming his multi-million dollar personal brand. Keep your eye out for the re-positioning of Brand Fevola, everyone deserves a second chance.